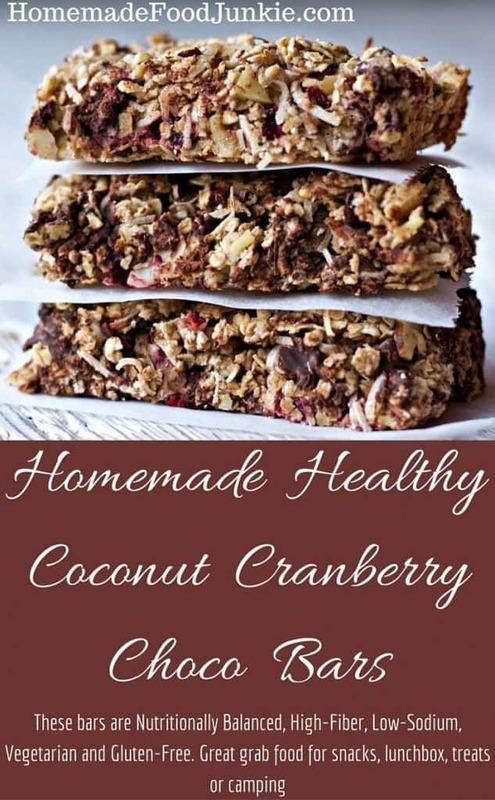 Homemade healthy coconut cranberry choco bars are fun and quick to put together. These bars are Nutritionally Balanced, High-Fiber, Low-Sodium, Vegetarian and Gluten-Free. Guaranteed to help you through a busy day. Need after school snacks, lunch box treats or camping food? Here you go! Having grab food on hand that is actually good for you is a fantastic idea! I LOVE granola and have made it for years. Somehow, I have never made granola BARS! I’ve always meant to though and this time, I did! My husband, son and I all agree these are great ‘on the go’ options for high energy, healthy snacks and the lunchbox! They are sitting in my cookie jar (and In a bag in my freezer because I made a double batch!) right now! I love them for a healthier treat when I want a cookie. I love my cookies! But these filling bars will satisfy me and keep me out of the naughty ’empty calorie’ abyss! I almost called these Shaggy bars, or shaggy treats, because they shed a bit. But Google search thinks only dog treats are shaggy. Your doggies CANNOT have these, no matter how much they beg, unless you eliminate the chocolate. And what’s the fun in that? These are a bit like haystacks, and a bit shaggy, with the shredded coconut running throughout. These bars have a great texture for holding. They will NOT leave your hands full of gooey, sticky sugar, like some bars do. These will actually work well for driving and other ‘clean hand necessary’ moments when you are trying to shove in a few healthy calories on the go and can’t wash up! 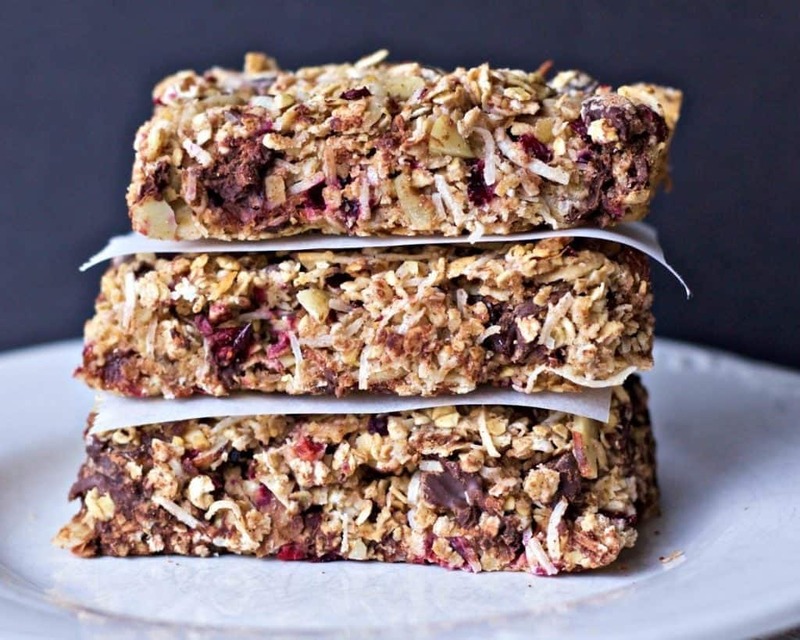 Homemade Healthy Coconut Cranberry Choco Bars. Drier and less gooey than some. These pleasing bars are also moist enough not to need a gallon of water to get them down! These are big bars, more adult sized. If your family is children heavy, you may want to cut these bars in half. They are filling and high calorie. Don’t gorge on these meal replacers! These bars strike big on the easy factor. If you have a food processor; Let it do the heavy chopping for you! After the cranberries, cherries and dates are chopped, Pour the instant oats (Or make your own by running regular oats through that food processor too!) and ALL the remaining ingredients, except the milk, into a large bowl with plenty of stirring head room. Stir it all up with a large metal or wooden spoon until the dry ingredients are thoroughly mixed. Add in the sweetened evaporated milk and stir until a wet gooey mass is formed. Press the gooey mass into the greased baking pan (coconut oil on your hands or Saran wrap over the dough will help) evenly and firmly. Bake 25 minutes, until slightly browned. Remove to counter and cut the bars in the pan warm. Let cool and remove to cooling rack when the bars set up enough to work with. 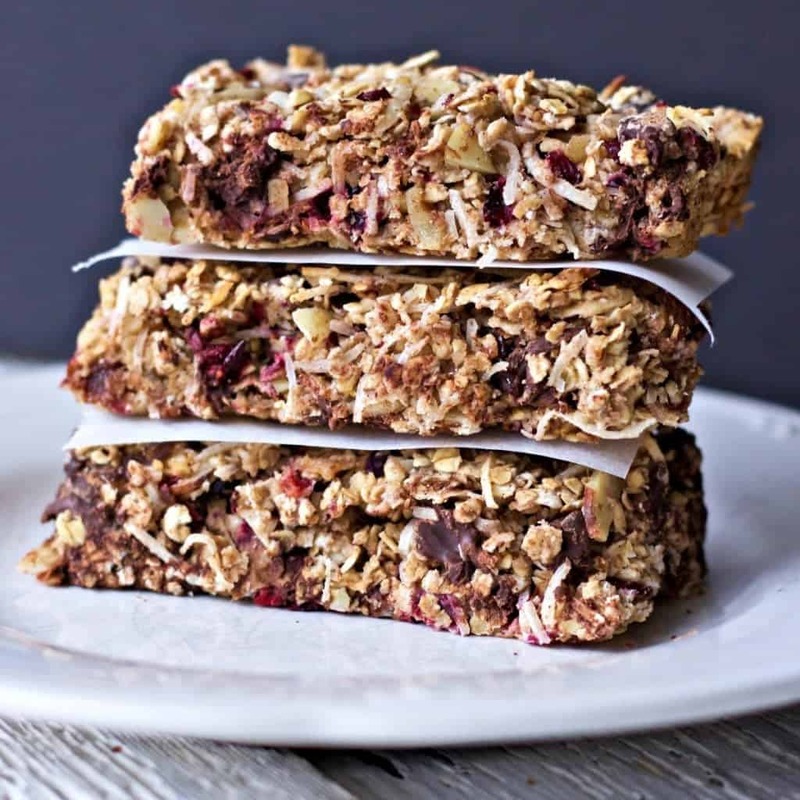 Homemade Healthy Coconut Cranberry Choco Bars are full of cranberries, cherries and dates! 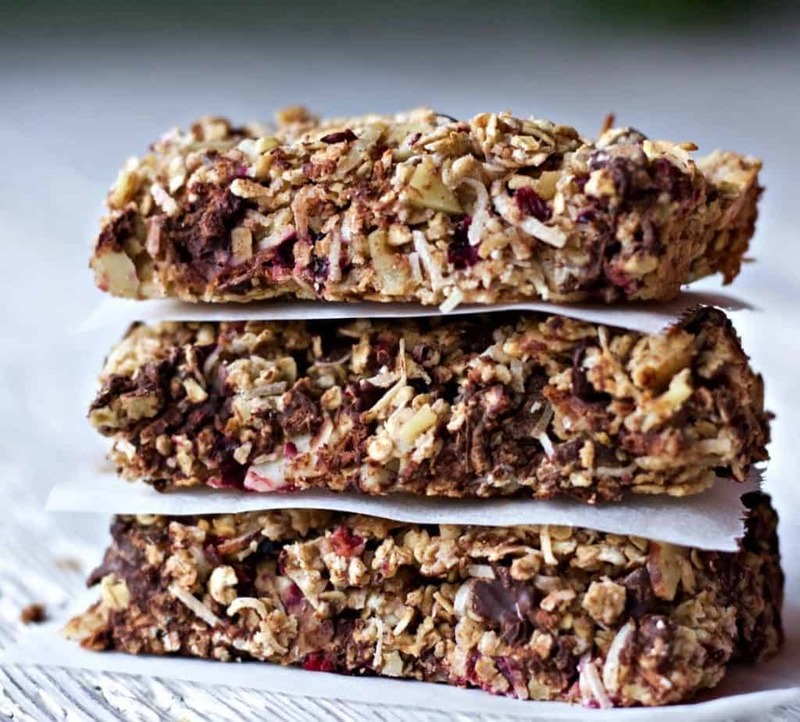 These granola bars are healthy, filling, and very very good! I particularly enjoy the fresh tart cranberries and Dried Montmorency cherries and Organic, dried Pitted Deglet Noor dates, together in this recipe. The Chocolate chips are ‘icing on the cake’, so to speak. they help glue it all together and add sweet bits that are always welcome in my mouth! I’m not a real fan of sweetened evaporated milk. Too processed, in my opinion. 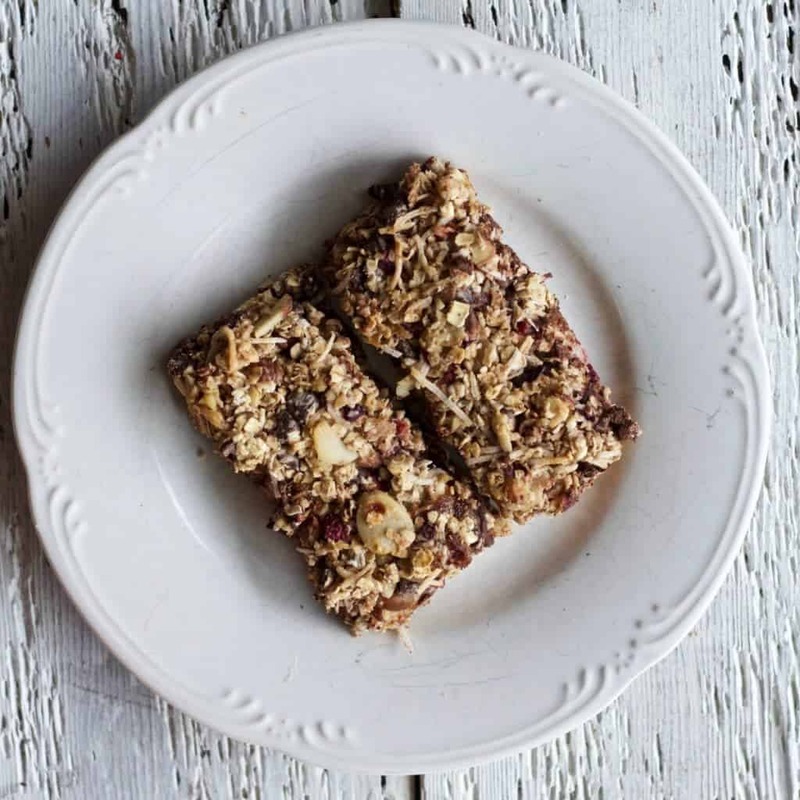 It gets a pass in this recipe because it has the right ‘glue’ consistency, when baked and thoroughly cooled, to help this delicious concoction make solid bars. Press this recipe into a lipped baking sheet and baked it 25 minutes. When it’s still warm, before it sets, crumble it all up onto a parchment paper and let it cool. Store in an airtight container after the granola is completely cooled. You will have some extra crumbles after cutting these bars, so USE them! 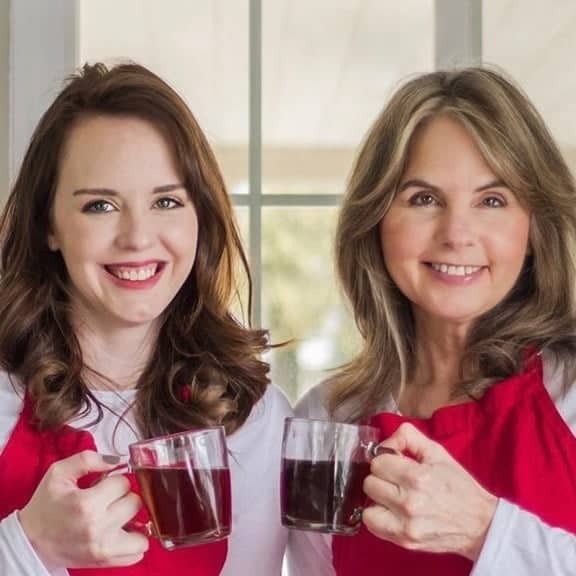 They make a great granola breakfast! If you’re a granola lover? You may also like Chocolate Chunk Sweet Potato Granola, Steel Cut Granola, Pumpkin Cranberry Granola, or my basic Homemade Granola. 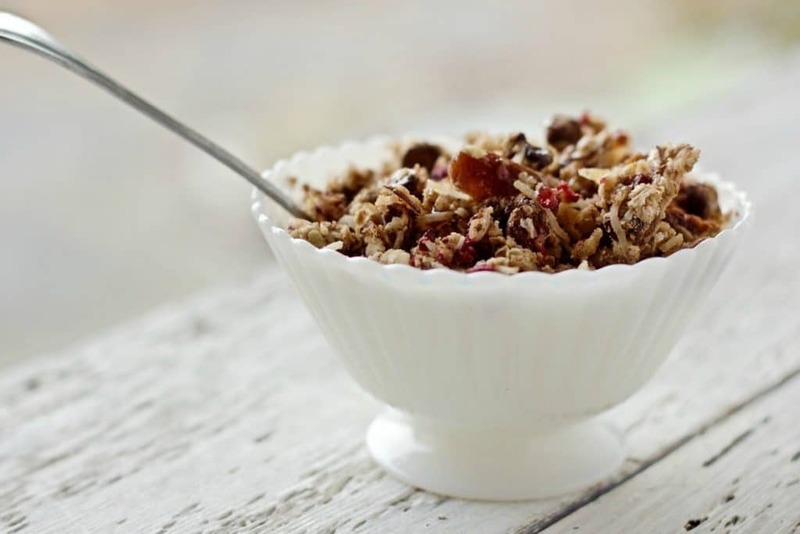 All of these granola recipes have different attributes you may enjoy. 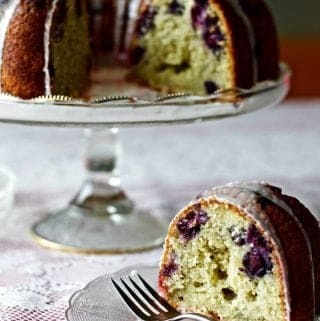 They are all excellent, easy recipes! Mince the cherries, cranberries, walnuts and dates in a food processor until pieces are as small, as desired. Pour the oats, nuts, fruits, coconut flakes and chocolate chips into a large bowl and stir well. Add the Almond flavoring and cinnamon. Stir until thoroughly mixed. Add the evaporated milk and stir until the mixture is very wet and sticky. 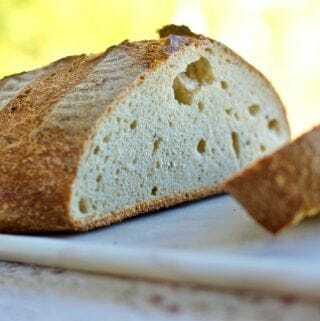 Press into a greased, parchment lined baking pan with lip. Bake for 25 minutes until just brown around edges. 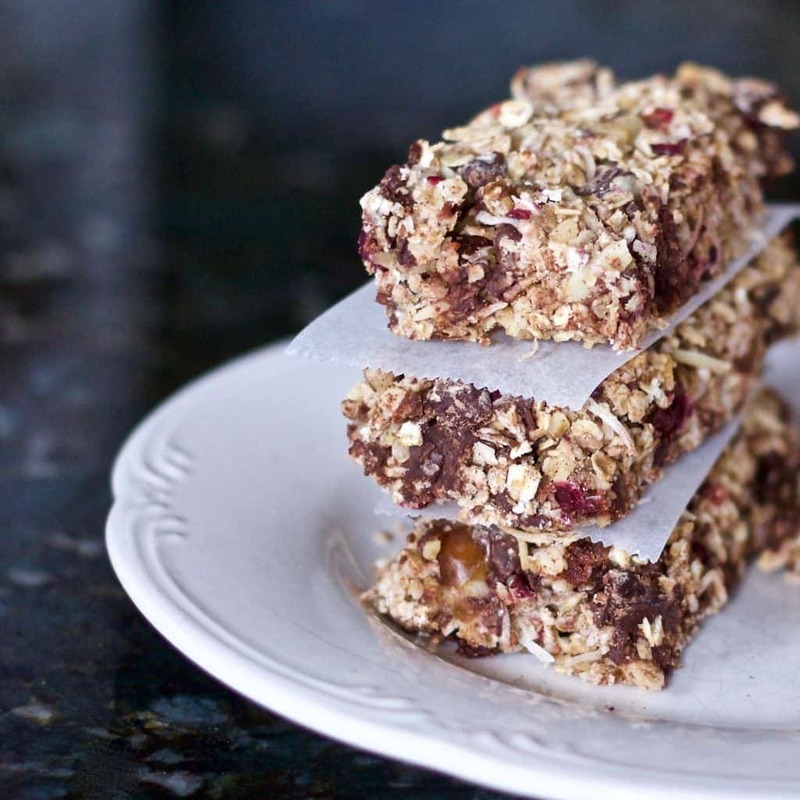 Using a sharp oiled knife or pizza cutter, Cut the baked granola into bars. I did 6 rows by 7 rows. Remove the bars to a cooling rack and let sit until set. Thank you so much Sarah and Laura! I hope you make them and enjoy them as much as we have. These choco bars are delicious! Yes they are Neli! Enjoy! I love granola bars! 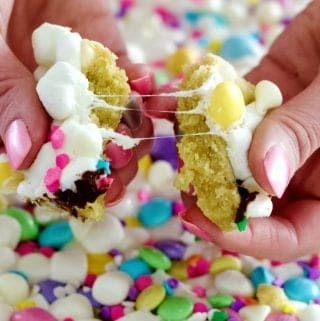 I haven’t made them in YEARS and you have inspired me to make some soon!! I agree that they are PERFECT snacks! I love that you added coconut (and Chocolate!) in these! Definitely pinning for later! Thank you Dini. I know you will love these! All of my favorite flavors and ingredients packed in a delicious looking bar? Perfection. Can’t wait to try these! These are yummy, Sarah. I hope you enjoy them, as we do! Thank you Tania! I hope you enjoy it! Thank you Manal. These bars really hit the spot! These sound great! In fact, I could go for one right now! Yum! Jenn, I have been enjoying a LOT of these because I made a TON of them! I just pulled a bag of these out of our freezer. They are still a fantastic grab and go meal! Kristen, Im glad to know I’m not the only foodie out there who uses her equipment to the bitter end! 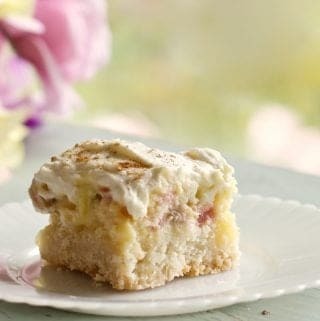 These shaggy bars are so good and easy to whip up on your new processor!